From the initial assessment to ongoing management of your environment, CDW’s number one objective is to ensure your organization experiences the cost savings and productivity gains a managed service program can provide. 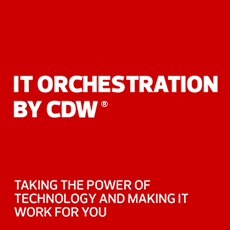 Working with your IT staff, CDW's expert consultants will develop short and long-term objectives (including SLAs) to improve your printing services and management. The CDW MPS team will show you which devices to retain, which to reposition or repurpose, and which to replace. We also include periodic business reviews, TCO analysis and green strategies. HP, Xerox and Brother's MPS programs are built on industry-leading printer fleet management software and are backed by world-class delivery and support teams. Each provides support to thousands of companies and millions of devices worldwide. Whether you’ve standardized on HP, Xerox or Brother devices, or you have a fleet that includes devices from multiple manufacturers, these solutions are capable of supporting the unique printing needs of your organization. Your staff will be more productive and your IT staff can focus on other priorities. Let HP manage your print environment and help keep your workplace running smoothly, so you can reduce costs and free up time. Take control of printing costs with Xerox PageConnect. Let us manage everything from a single networked device to your print environment. Get expanded device offerings, predictable supply costs and assured support with the Brother Volume Print Program. Call your CDW Account Manager at 800.800.4239 to get started on one of our comprehensive MPS programs.